We have received a complaint against you, and your account will be locked in the next 24 hours if you have not updated this. The security of your account is our primary concern and we apologize for the inconvenience. First of all, this email starts off by scaring you. There are two phrases that have been chosen to do the work, first one being "complaint against you" and second being "account will be locked". These two words are enough to scare a person and make him immediately proceed to the given link. This was all about the physiological techniques used by hackers to hack into your account. Now here are two "dead giveaways" that immediately busts this email as fake. If you read the email carefully, you must have noticed it. You didn't? Then have a look below. 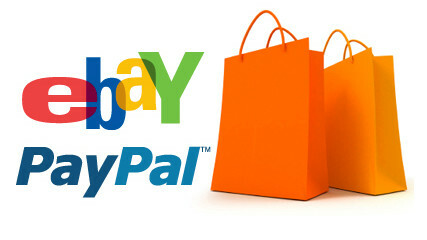 Since they cannot access the email from PayPal's original domain, they have cunningly changed PayPal to "Paypale". Second Part: Now if you go and hover your cursor to the update link, it points to a webpage that is way different than the PayPal website. This technique is called as "Phishing". It is a technique where a hacker creates an exact replica of a given website (in this case - Paypal) and hosts it on a server. If a innocent victim enters into that page and types in his username & password, it immediately gets forwarded to the hacker. The hacker can now use this information in anyway he wants. Now there is a very simple way in which you can stay safe from any phishing attack. With the Phishing technique you can fake a webpage but you can never fake the address of the website. As you saw, PayPal was turned PayPale similarly websites like Gmail can be turned into Gmaiil, Amazon can be turned into Amaezon !! Many a times we don't pay attention to these small things and end up getting in trouble. So from next time onwards, keep your eyes on the spelling of the website. HTTPS stands for Hypertext Transfer Protocol Secured. Any authentic major websites like PayPal, Gmail will always have this badge. Always look for HTTPS sign before proceeding with any online transaction. So that's all what I have for this post. If you have any questions/queries or want to share any similar experience, feel free to post them in the comments section below. I also appeal you to share this article on Facebook & Twitter and let everyone aware of the situation and prevent these fraudulent activities.